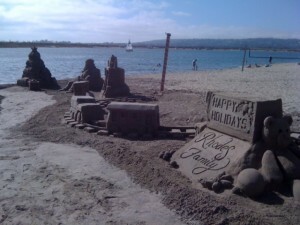 We are the Sand Squirrels a dedicated group of artists who love to play in the sand. 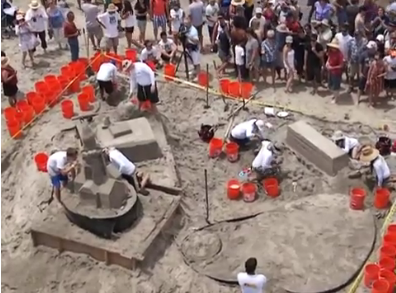 The Sand Squirrels have been sculpting in the sand and entering competitions since 1991. In that time we have won the US Open Sandcastle Competition several times and have placed nearly every year we have entered. Through the years we have donated our winnings of over $50,000 to a variety of charities. Aside from competitions, we have provided sculptures for a wide range of events including a very special sandcastle for the Rhodes family featured on ABC’s Extreme Makeover Home Edition.